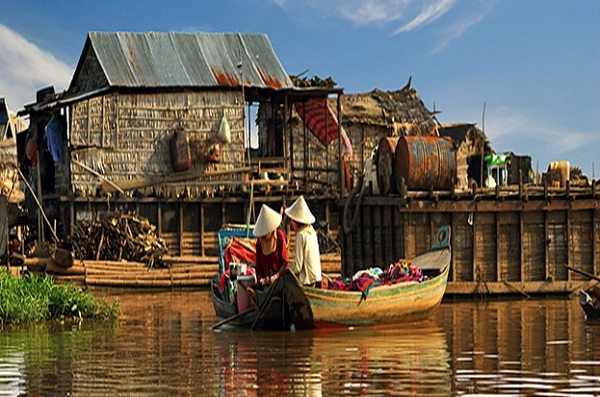 It will be an ideal travel if you spend 8 days 7 nights on experiencing and exploring stunning destinations, exotic culture and daily life of the local on the downstream of Mekong River from Siem Reap to Saigon by RV Amalotus Cruise. 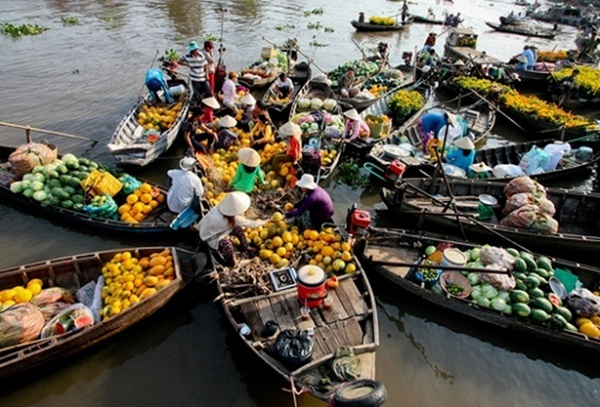 Kampong Chhnang is a busy rural port town with bustling markets. Mooring mid-stream, RV Amalotus Cruise makes a truly wonderful motorboat excursion into the lakeside wetlands that form the mouth of the river. Here a stunning variety of birdlife may be seen, and of considerable interest are local life and floating village. 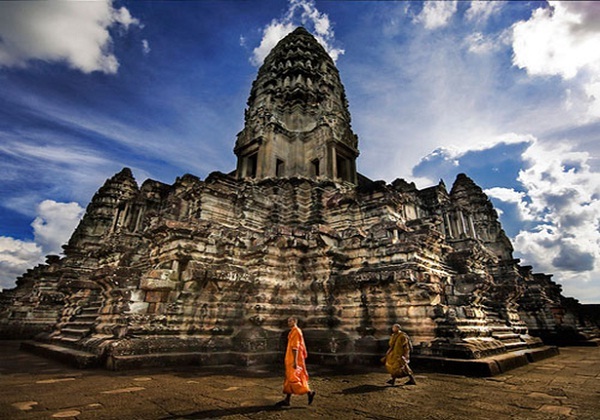 You have chance to visit Angkorian temple of Wat Hanchey, the eco village of Cheungkok and overnight mid-stream in Phnom Penh. 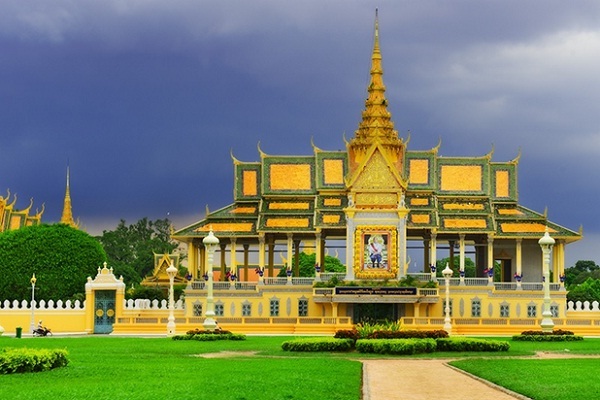 You will visit Royal Palace, the spectacular Silver Pagoda and the National Museum where outstanding Khmer crafts are exhibited. Afternoon excursion facilitates understanding of a crucial part of the Cambodia’s history: the Khmer Rouge’s grim Toul Sleng and the Killing Fields. You will stop at Preak Dach, a jungle village, to visit fruit orchards and then set off for the Cambodian – Vietnamese border for the border crossing formalities. The cruise arrives in Tan Chau – the first Vietnamese town on the Mekong River. After breakfast, you transfer to small boats and visit a cat fish farm and rice-polishing factory. Then you go ashore to visit a mat-making workshop, and take a short walk in the village to visit a silk coloring workshop. A trishaw ride round this fascinating town takes you back to the pier and after a short channel cruise on a local boat you return to the ship for lunch and cast off for Sadec. After Breakfast, small local boats will take us into the village of Sadec for a refreshing morning stroll. 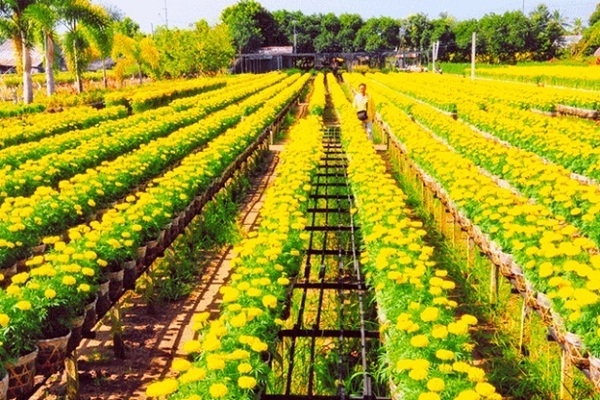 You will visit the village of Sadec, pagoda and ancient Church, the floating market, flower gardens, the ancient Kiet House and local rice paper manufacturers. In the early morning, the cruise arrives in Saigon (Ho Chi Minh City). You will dock at the Saigon River Frontage.